The releases date was scheduled for December 21st 2012 but has been pushed back due to some minor legal issues. We are working hard to get these issues resolved so we can put out the film. We are working hard in re editing some parts of the film in order to avoid further problems. Thank You to everyone who already pre ordered the film. 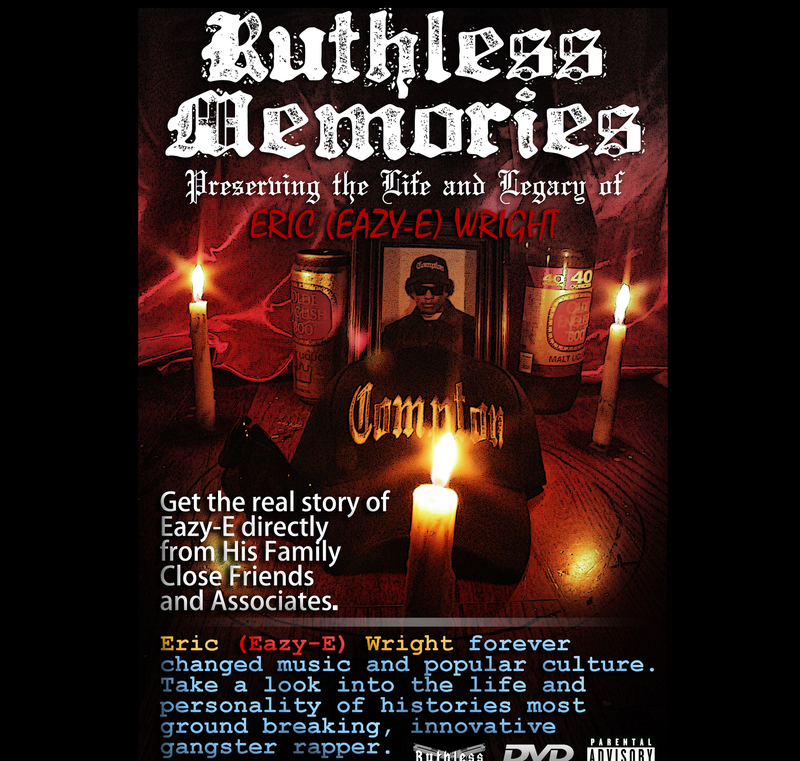 We want this documentary to satisfy all Eazy-E fans and i am confident that the finished product is not going to let you down. We are also planning a SPECIAL 20 minute screening of the film on Jan 18th at 8pm Pacific / West coast time. We will stream the first 20 minute of the documentary for the world to get a sneak peak of the film.